We are a leading Manufacturer of printed jute fashion bag, ladies jute bag, fashion jute bag, jute bags for childrens and customized jute bag from Kolkata, India. 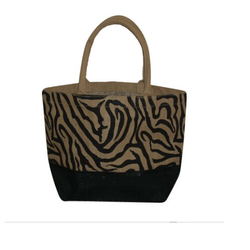 We are one of the leading manufacturer of Zebra Print Jute Fashion Bag. Our ranges of these are fabricated using superior quality materials that are procured from reputed and certified vendors of the industry. These are available in different sizes, colors, shapes and can be customized based on the specifications of the clients. 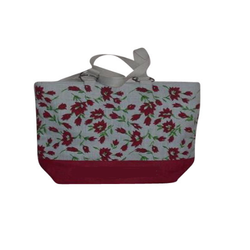 We are one of the leading manufacturer of Flower Print Ladies Jute Bag. Ladies Jute Fashionable Bag Flower Print Bag is fabricated using premium quality materials and according to the international quality standards. These are available in various specifications and can be customized based on the demands of the clients. Our range is highly demanded in domestic and international markets for their quality, light weight, attractive designs, performance and durability. 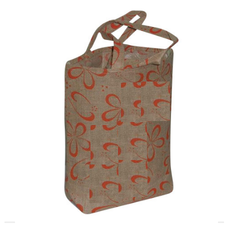 We are one of the leading manufacturer of Flower Print Fashion Jute Bag. 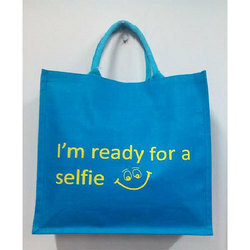 These print bags are widely known for its durability and quality. These are manufactured from top quality materials and follow the latest market trends and technology as per the industry standards. 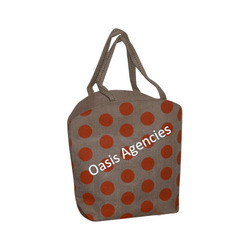 Our clients can avail from us exclusive range of Printed Jute Bags that are available in varied designs and finishes. Our range of Children Jute Bags are available in a variety of colors and patterns. Cane handles makes these children jute bags easy to carry. These children jute bags are light-weight and are apt for carrying every little thing that the kids wish to. 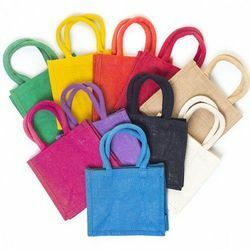 These jute bag is made using optimum quality jute, which is ideal for kids and is available in various sizes, designs, color combinations and textures. We also include a variety of frolicsome designs and soft colors to bring an irresistible smile on the innocent face of your little ones.